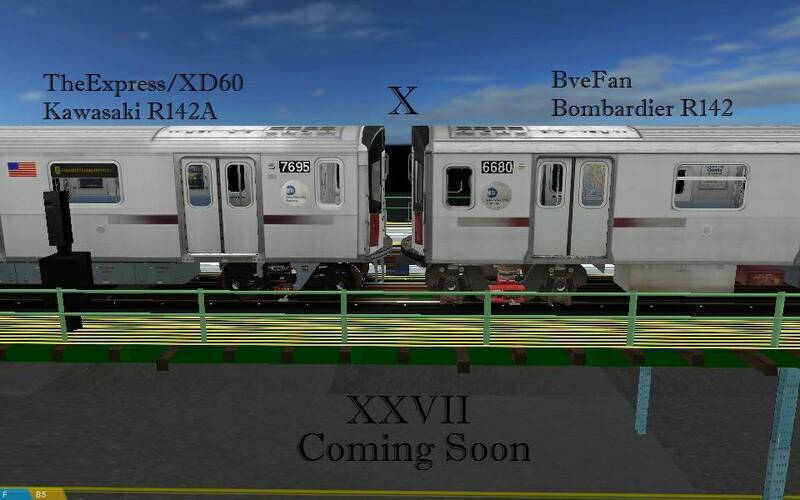 The default ones that I put on will be released(nothing fictional) but I will add the template I created for both the R142 and the R142A so people can create their own fictional or maybe any that we missed for personal use. Before release I will make a video of showing all the LED's for both trains and during or after release I'll make another video showing how to create your own through the template and codes. alright i found something. i found out that when i press the (Q) key. it thinks that im pressing the (0) key, how do i change this? These sounds are great but I think the run sounds got affected a bit. It sounds like its in slow motion when the train is moving at 30mph. I see... Working on it right away! I recently upgraded to OpenBVE 1.5.2.2 and I have experienced a couple issues after downloading. The first issue I noticed since upgrading was Camera sway when in passenger view I checked the driver car position it was in 1. The only train that doesn't do that is the R160 which has driver car 0 when I changed the other trains to 0 it did not work. Any solutions. 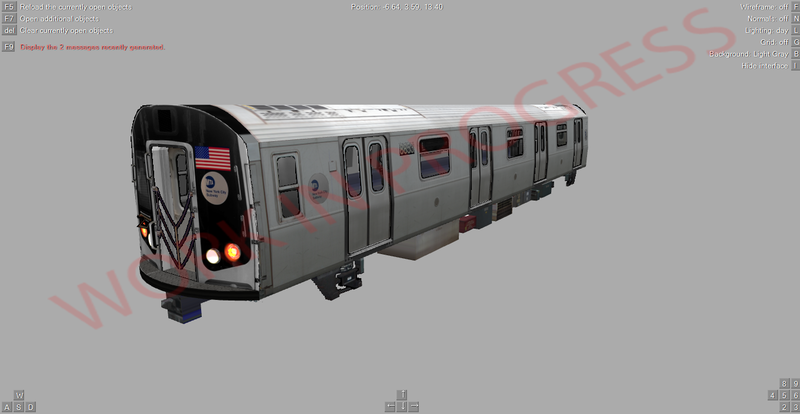 Another issue I experienced is with the R46 the first car whenever I load the game is grey I checked the train.dat file and it has all 24 cars in accounted for. I'm open to any solutions. you aren't alone mate, issues like the grey box are due to a possible incompatibility with 1.5.2.1 and up. as far as I know, some Routes are missing a lot of pieces like the (A) to Howard beach, (D) to coney island, and the R143 train is completely a grey box. I tested these same routes and the train on OpenBVE 1.4.3 and it works fine. Since It Seems I've Lost My Permission From Uploading For Whatever Reason I'll Post It Here. This train is almost fully detailed and runs slightly better. Note: This train feature REALISTIC acceleration and deacceleration speed with 4 power notches, and 6 break notches giving the user more control over speeds like real New Tech Trains (NTTS). Sorry For the wait guy, my integrated graphics processor over heated and blew so I was without a computer for a few months along with other things. Please not this is not the final release this train will be updated to 2.0. Horn Music = Being held Momen... Annoucement. W/minor LCD Coding From Ryan J. Terry. And Special Thanks To The Beta Testers/Donors That Made This Release Possible. Please Excuse Me If I Have Missed Your Name. Off Topic / Re: What is a cpend loop?